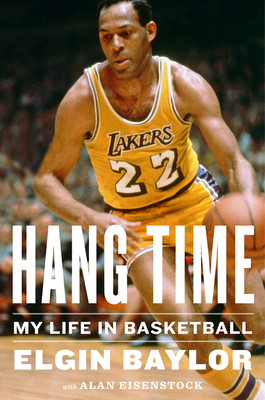 ELGIN BAYLOR played thirteen seasons in the NBA for the Minnesota/Los Angeles Lakers, appearing in eight NBA finals. A #1 draft pick, NBA Rookie of the Year, and eleven-time NBA All-Star who was named to the All-NBA First Team ten times, Elgin is considered one of the game's all-time greatest players. After retiring from the NBA as a player, he coached the New Orleans Jazz, and then in 1986, became the general manager of the Los Angeles Clippers, a position he held for twenty-two years. In 2006, he was named NBA Executive of the Year. Award-winning and best-selling author ALAN EISENSTOCK has written fifteen books, most recently Warrior with former U.S. Marine platoon commander Theresa Larson. He has co-authored The Handoff with John “JT the Brick” Tournour, I’m Not Gonna Lie with George Lopez, and Just a Guy with Bill Engvall. He has also written the nonfiction narratives Raiders!, The Kindergarten Wars, Ten on Sunday, and Sports Talk. He lives in Pacific Palisades, California.